Trig’s TY97 aviation radio sets a new standard in high power dual 25 kHz and 8.33 kHz radio design. Combining great quality and performance each radio is housed within a superbly engineered unit, slim-line and light. At only 33mm high (1.3”) the radio saves valuable stack space, but retains innovative and practical features. The TY97 is a 16 Watt certified radio, designed for high performance aircraft with a 28 volt power supply. With enhanced performance the TY97 ensures successful reception and transmission over long distance or from high altitudes. The TY97 display is clear and bright, showing both primary and secondary frequencies along with ICAO or custom set airfield identifiers. A ‘Push Step’ knob allows the fastest change from 8.33 kHz to 25 kHz – so you can tune the radio quickly without compromising your look-out. The Dual Watch feature allows two frequencies to be monitored at the same time – it’s like having two radios in one. Despite the TY96’s high performance the radio’s low profile design requires no external cooling fans. The radios compact size and features make it a great choice for both forward and retro-fit installations. 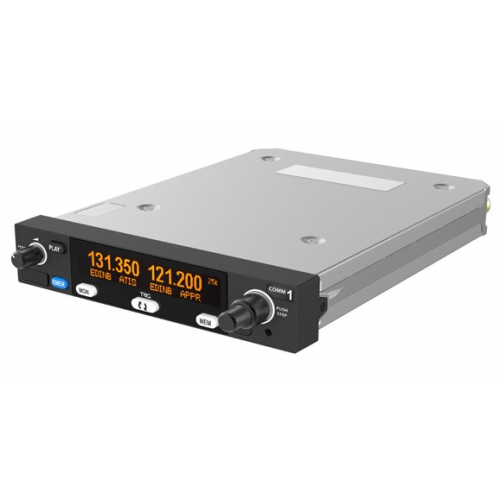 Each radio is designed to easily integrate with legacy radios, these include popular KY 196A, KY 197A and SL 40 models.